How Does Your ADHD Child Learn? How does your child learn best? What is your child's learning style? 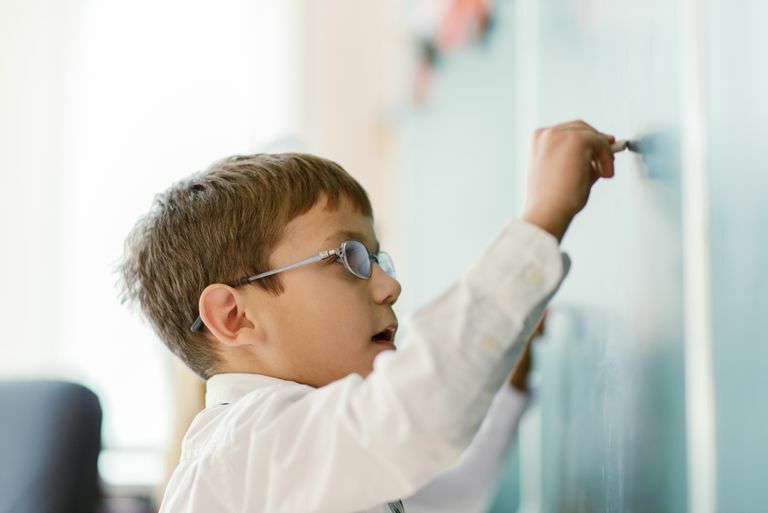 Determining learning style can make a big difference in your child’s school success. The trick is getting a handle on what learning style or ​a combination of learning styles work best for your child. “A simple way to understand these different learning styles is to consider what senses your child relies on most when learning,” notes Dr. Stern. Once parents and teachers understand the way a child learns, teaching methods can be better geared to maximize the learning experience. Visual learners learn by seeing, explains Dr. Stern. “In school, your child will do best from seeing examples and having an opportunity to watch.” These children respond well to colorful pictures and illustrations of the learning material, written lessons on the board or overhead projector, outlines, diagrams, charts, maps and educational videos—all things they can see to absorb the information. They also tend to cue in well to a teacher’s facial expressions. Note taking (depending on the student’s age) is helpful for visual learners. “We want to make sure that this student is taking good notes, and reviewing good notes,” says Dr. Stern. “If your son or daughter does not take good notes, then we need to make sure that he or she has a study buddy or partner who is willing to share their notes.” Talk with your child’s teacher about helping you coordinate this. “These children learn and retain information when they have an opportunity to hear it,” says Dr. Stern. Auditory learners cue in to voice tone, speed, volume, and inflection, as well as body language, and learn best by hearing class lectures and participating in and listening to class discussions. An added benefit to recording classroom instruction: the student can replay any material he or she was not able to grasp fully and move along with learning at his or her own pace. In addition to using a tape recorder, auditory learners benefit from reading text out loud and presenting learned material orally. They may want to rephrase and repeat back new material to help reinforce learning. Some enjoy music in the background when studying. These students love to be wholly physically absorbed in the learning activity, actively exploring and moving around. They may have trouble sitting for long periods of time, becoming bored and distracted when they are not “doing.” Hands-on, tactile teaching approaches in which a child is allowed movement work best for kinesthetic learners. Science labs and experiments, involved unit studies, field trips, crafts, skits, model building—all help a kinesthetic learner absorb new information. During the times when these students need to be seated, it is helpful for them to sit up front in a classroom where there is a lot of activity going on as the teacher teaches. This way it is easier to stay engaged in the learning process. Dr. Stern explains that it is sometimes helpful for a kinesthetic learner to hold something in his or her hands to fidget with while doing work—silly putty, a Koosh ball, holding the book while reading (rather than setting it on the desk)—anything tactile works well. Many kinesthetic learners benefit from being permitted to work standing up, though the rest of the class may be seated. Teaching to a child’s strengths and favored learning style or ​a combination of learning styles is always more productive than a one-size-fits-all approach.